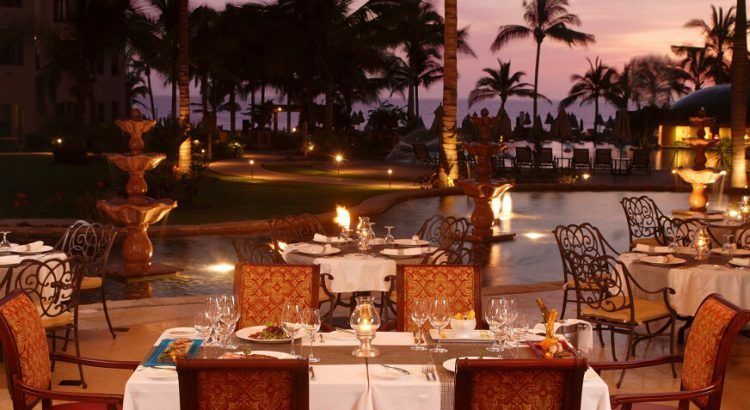 Will you be in the Riviera Nayarit area and interested in planning a romantic evening with your sweetheart? There are lots of wonderful activities that couples will enjoy in Riviera Nayarit. Looking to make the most of your time together? Here are a few suggestions on fun activities to enjoy as a couple looking for a romantic evening in Riviera Nayarit. The Hacienda style Villa La Estancia situated in Riviera Nayarit is home to an excellent restaurant that is perfectly suited for a romantic evening meal that will impress. Our high end and elegant decor will create a romantic ambiance that will start your evening off right. Our excellent menu features high-quality cuts of meats include Kobe and New York cuts. Couples will be overjoyed with the soothing atmosphere and great service. If you can take your eyes off your loved one, make sure to enjoy the spectacular views of the lushly landscaped exterior and the Banderas Bay. Sit back and relax and cheers with a glass of sparkling champagne to celebrate your love and this magical moment together in paradise. Another great way to create a romantic experience is to book some spa time with your loved one. Why not pamper your sweetheart with a couples beauty or wellness treatment together? Villa La Estancia’s Tatewari Spa is elegantly designed with a Mexican-European inspired flair that is a wonderful place to relax and reconnect. An idyllic spot for a couples beauty or wellness treatment, it will be easy to reignite the flame with the help of the incredible treatments at Tatewari Spa as well as the natural beauty that surrounds you. The sparkling Banderas Bay waters and green Sierra Madre mountains will leave you breathless. Take the time to pamper each other and refresh yourself at the Tatewari Spa at Villa La Estancia. Using therapeutic and ancient traditional techniques from indigenous people that lived in the area years ago, there is no better place to soothe and reinvigorate your body, mind and soul. A classic and always pleasing option for couples is to take a cruise around the Banderas Bay at sunset. If you are staying or own property with us at Villa La Estancia, the front desk concierge will be glad to help you arrange a getaway that will be perfect for couple. Many include a gourmet dinner and drinks as you cruise the bay in style with the incredible PV sunsets in the distance. If you find yourself in the area during the months of December through April, you may be lucky enough to do some whale watching as well. Humpback whales return each year to Banderas Bay to birth and raise their young, and it is likely your romantic sunset cruise will include a whale sighting or two. Enjoy the incredible views and relax as the ocean breezes caress your skin and tousle your hair during your cruise. Take a deep breath, hold your sweetie’s hand tightly, and find yourself inspired and refreshed by the amazing surroundings. Next time you find yourself at Villa La Estancia in Riviera Nayarit, we hope you have the chance to enjoy many romantic and special evenings and experiences with your loved one.